Where's Wally is a character from a very popular series of illustrated books loved by children since 1986. 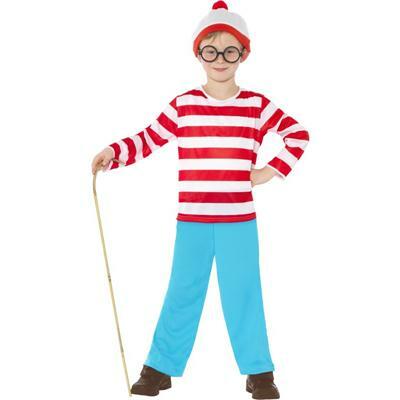 The challenge in the Where's Wally books is to locate Wally in his iconic white and red striped shirt, glasses and bobble hat in a double page spread of many other characters in various historical and worldly scenes. Wally has been joined over the years by his sister Wenda, his dog Woof, and the Wizard Whitebeard. Will you find Wally or will Wally find you? © 2005-2019 ESTOP PTY LTD TA Costume One. The No.1 place in Australia to buy fancy dress costumes.